The zealous and compassionate attorneys at The Pickel Law Firm, LLC work together to help clients across Connecticut recover the compensation they deserve. Located in downtown Stamford, our firm offers truly personal service for personal injury and wrongful death victims. With four decades of combined experience, we are prepared to take on any client who has been injured through no fault of their own. You will receive caring and honest service at our office. We offer full-disclosure and clear counsel, so you know exactly what to expect. Not only are we considerate of your painful situation, you can count on us for results. In past cases involving motor vehicle accidents and medical malpractice, we have successfully obtained million-dollar settlements. Our principal attorney, Alan Pickel, is constantly adding to his already extensive knowledge and experience in family law. Judges regularly rely on him as a special master for his proven ability to assist divorcing couples in resolving high-conflict divorces. Additionally, courts frequently call on Mr. Pickel as an arbitrator, fact finder and attorney trial referee. He is an active member of several legal associations and is deeply committed to his clients. 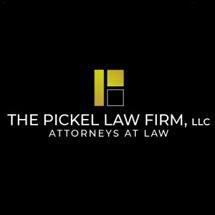 The Pickel Law Firm, LLC, offers a free initial consultation for injury cases and accepts credit cards as payment. We represent people across Fairfield County and throughout the state of Connecticut. This includes the cities and towns of Stamford, Norwalk, Ridgefield, Greenwich, Darien, Easton, Weston, Westport, Fairfield, Bridgeport and everywhere throughout the state of Connecticut.